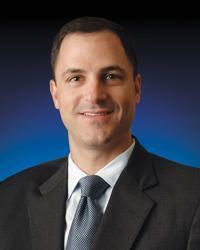 Andrew Sokol, MD, is an internationally recognized expert in minimally invasive pelvic reconstructive surgery. He is a professor of Ob/Gyn and urology at Georgetown University School of Medicine. Dr. Sokol is a board-certified female pelvic medicine and reconstructive surgeon and serves as associate director of minimally invasive surgery at MedStar Washington Hospital Center. He completed a combined fellowship in minimally invasive surgery and female pelvic medicine and reconstructive surgery at the Cleveland Clinic Foundation. He earned his medical degree from Wayne State University School of Medicine and completed an Ob/Gyn residency at Northwestern University Feinberg School of Medicine. He has served on the Board of Trustees of AAGL, the largest medical society representing minimally invasive surgeons and holds numerous leadership positions in that organization. Dr. Sokol is a member of the American Urogynecologic Society and an elected member of the Society of Gynecologic Surgeons, an exclusive surgical society of recognized experts. Dr. Sokol has published over 45 peer-reviewed articles on laparoscopy, prolapse, and incontinence surgery and several book chapters on prolapse, incontinence, and anatomy. Additionally he is the editor of a gynecology textbook titled: The Requisites in Obstetrics and Gynecology: General Gynecology. His research interests include surgical management of pelvic organ prolapse and urinary incontinence, biomaterials, and pelvic reconstructive surgery. He is actively involved in clinical research trials that focus on surgical therapy for pelvic organ prolapse and stress urinary incontinence, minimally invasive surgical teams, and surgical education. I strive to provide state-of-the-art, patient-centered care for an array of complex pelvic floor disorders. SOKOL AI, SOKOL ER, eds. The Requisites in Obstetrics and Gynecology: General Gynecology, 1st Ed., Philadelphia, Mosby, 2007. A complete list of publications from Andrew Sokol, MD.